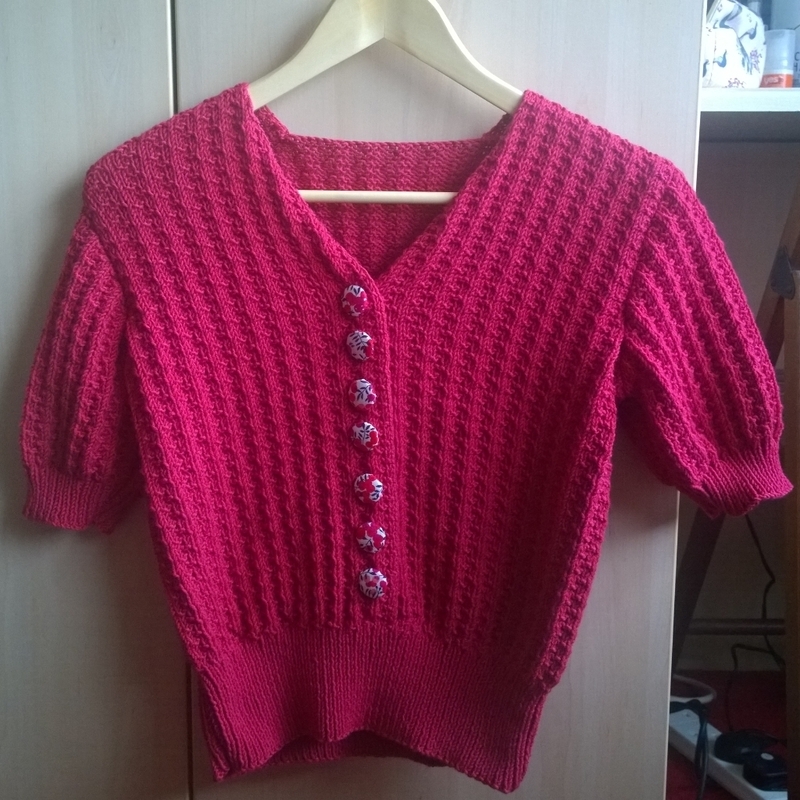 I feel as if I will get a lot of wear out of this, and I am even contemplating knitting a long sleeved one in wool for the winter. We shall see, though. There are so many pretty patterns and not enough time to make them all. If only I had a rich husband or an independent income!!! 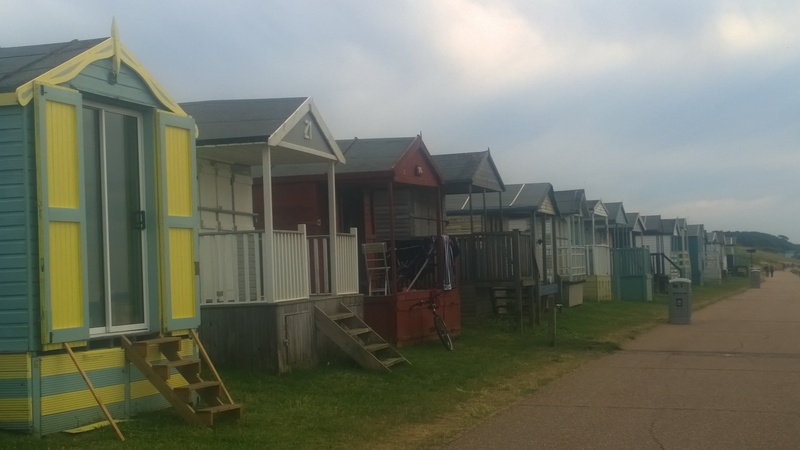 After dinner we had another walk along the front, admiring all the beach huts. 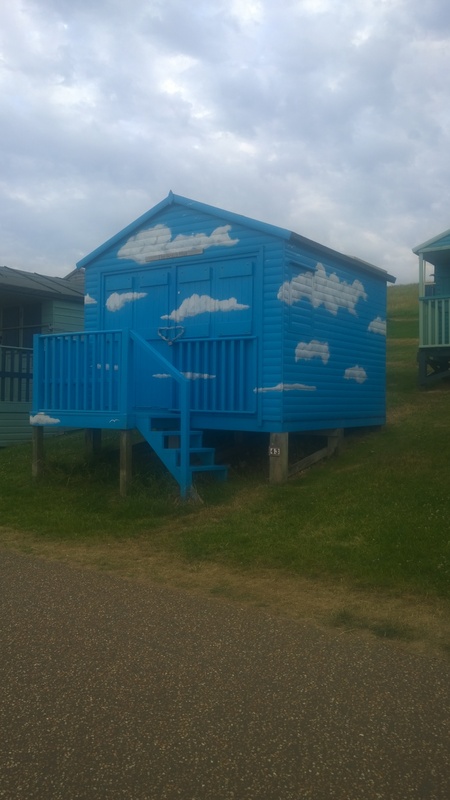 I was filled with beach-hut-envy! H and I spent a wonderful time planning our fantasy beach huts! 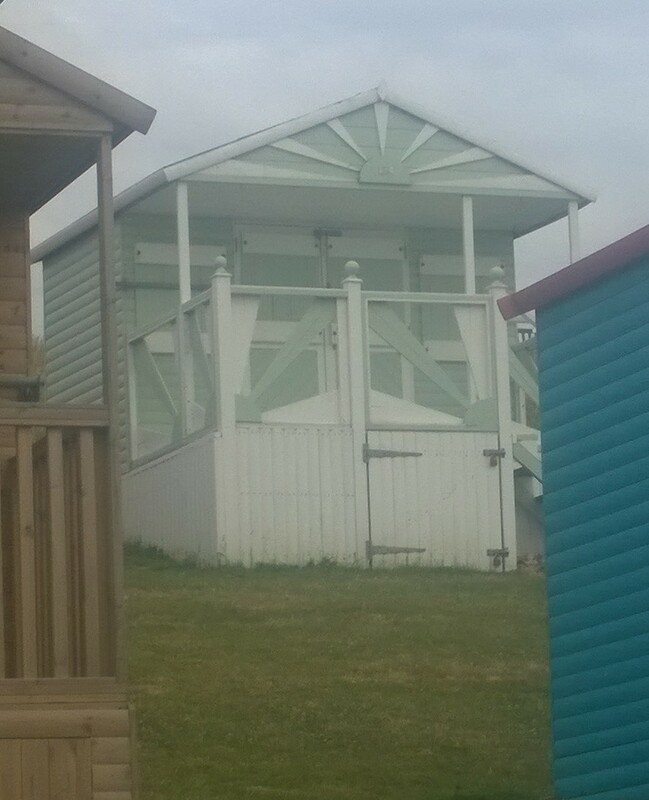 They would be at least twice the size of these beach huts and very luxurious. I love the Art Deco look of this one, in particular the green and cream colourway. There will always be blue skies here. 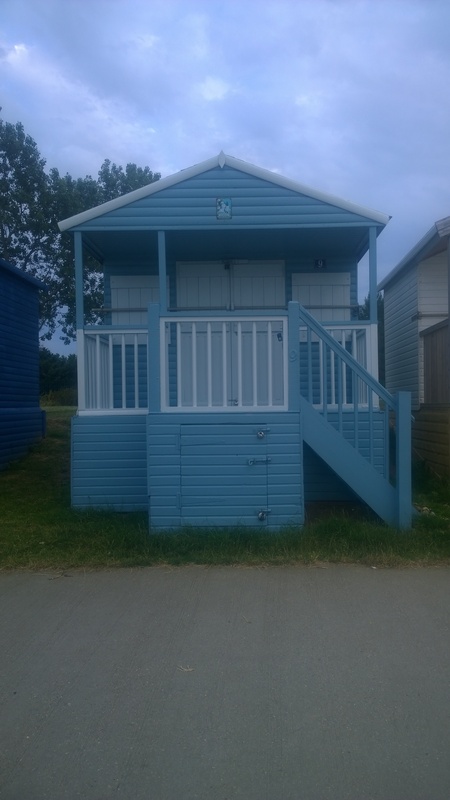 Blue and white was a popular combination for beach huts. It looks so fresh and summery. 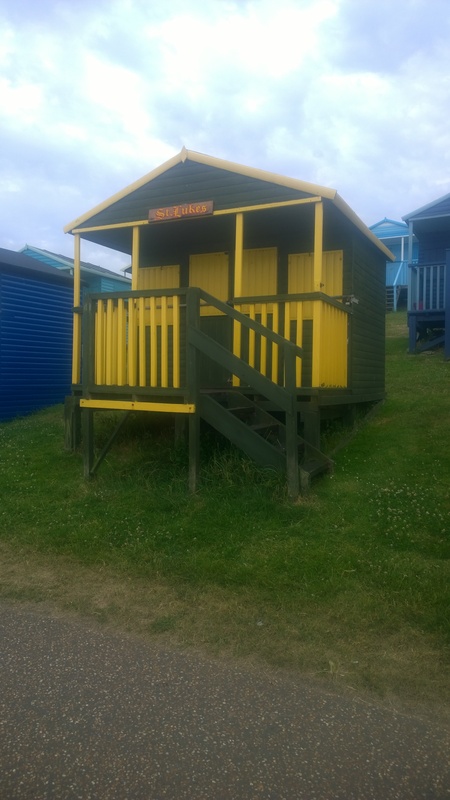 This one made me smile because our local psychiatric unit was called St. Luke’s until fairly recently, although we decided that this hut belonged to the Scouts. 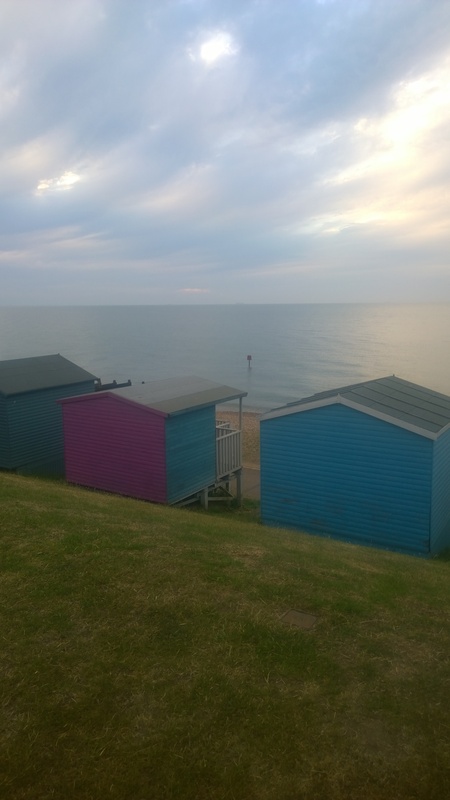 Beach huts from begin, showing the sea. Walking along the front we saw some splendid houses but I only took a photo of one (remiss of me, I know). 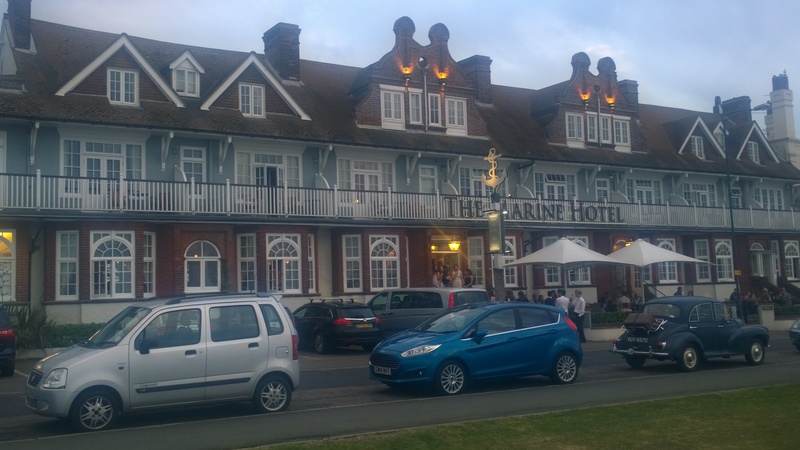 This house would have been perfect if Monsieur Poirot decided to holiday at Whitstable. It is so 1930s, not a curve in sight! 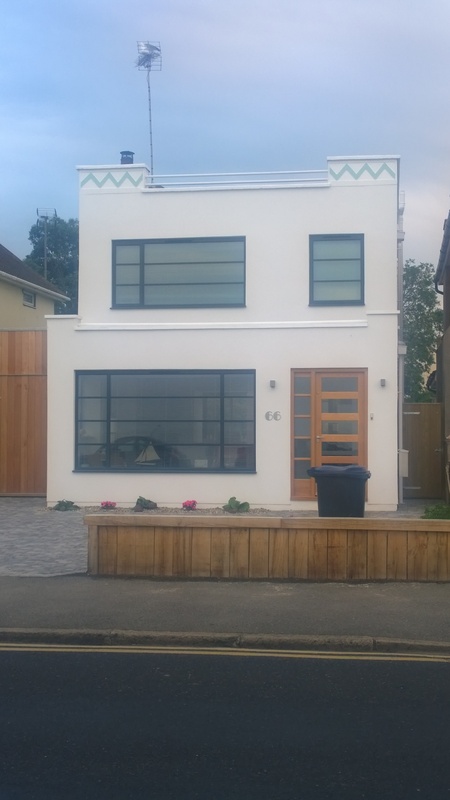 One very modern house, we were somewhat horrified to notice, had a floor to ceiling window in the bathroom!!!!! When I did my post holiday accounts I am very glad that I have no big financial plans for the rest of July. Instead I have a long list of books to read, crafting to finish and a rather late, much needed spring clean to complete.